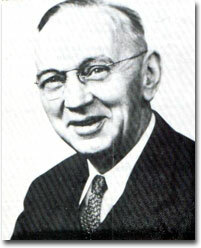 Many people know about Edgar Cayce the Great American prophet. But those that don't study his many messages, may not know that many of his readings dealt with health issues and healing remedies. The Edgar Cayce institute in Virginia Beach, Virginia maintains a large library filled with the Cayce material and more importantly the verified results of his suggested remedies. I'd like to share some of the more common conditions and corresponding recommendations from Edgar Cayce. A number of these are ointments, tea mixtures and alike that Cayce himself created through his trance channeling sessions. If you'd like to acquire one or more of these remedies the best place I've found is from a store in Virginia Beach called the Heritage Store. But remember even Edgar insisted that these remedies ARE NOT to take place of seeing your regular doctor.